In this minisode (which in no way lives up to the term because it's just as long as every other episode but shush) Ed counts down the ten best films to ever win Best Picture from the Academy Awards. It's almost relentlessly positive, unless his picks enrage you. Listen to find out if they do! NB: This episode was recorded before the Oscars ceremony, so, er, don't be surprised that I didn't manage to predict the weirdest damn thing to ever happen at the Oscars. The boys are back with an episode running down 10 great musical moments in films that aren't musicals or concert films. It's a pretty decent list, with both high and low brow choices and distractions aplenty along the way, including the discovery that both Joe and Ed hate Almost Famous and the fact that Joe was into the Beatles way before they were cool. Recorded almost a year ago, but now only just seeing the light of day, Joe and Ed sit down for a lengthy natter about David Simon's sprawling dissection of the modern American city in decay, The Wire. Because it was recorded last year, it's in the old format with the Top Ten included, so it's longer than newer listeners will be accustomed to, but the quality is high in this unusually focused episode. As usual, listen, enjoy, rate and review! With the monumental Breaking Bad about to come to a no doubt unpleasant end, Joe and Ed take a look at ten other great season finales. It's fair to say the this episode is pretty spoilerific. Soz. This week's Top Ten list sees Ed and Joe getting giddy about the coming attractions of the Sheffield International Documentary Festival, which celebrates it's 20th Anniversary this year. With both Ed and Joe in attendance this year, the boys run down the ten films, events and parties that they are most excited about. During the festival itself - which runs from 12-16 June 2013 - you can follow Ed and Joe's exploits on Twitter, finding them on that social network at @ejrdavies and @thewoodenkimono respectively. After receiving reams of angry network notes, the boys have decided to separate the top ten lists that usually end each episode into their own standalone show. 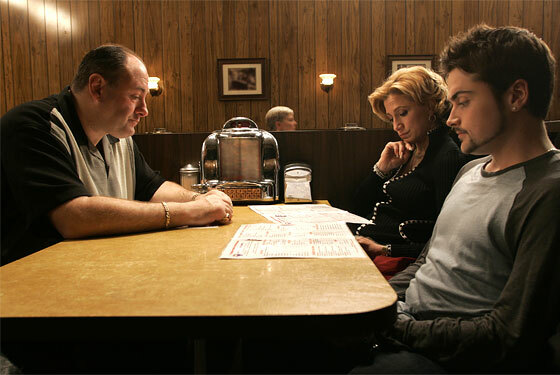 For the very first of these episodes, Joe & Ed fire off list of 10 superb TV Show Adaptations. Some are films adapted from TV shows, some are TV shows adapted from films. One is actually a TV show adapted from a TV show. Mind boggling. Being able to focus on the list on it's own unfortunately does not mean the boys are actually any more focused. During this episode, Ed dumbfounds Joe with details of the upcoming LEGO movie, the pair imagine a disgustingly profane alternative to The Avengers and Joe reveals what his confused, 11 year old self made of Twin Peaks when it aired first time around. In the final part of their 2012 round up, the boys finally get to learn what their top films of 2012 were. Compiled using a complex and highly secret mathematical formula, Joe and Ed take you on a 90 minute tour of the very best of 2012, firstly running through the films that didn't quite make the cut, before discussing the top 10 films of the year one by one.